Top GOP officials are showing time and time again that orange is in fact not the new black, as more line up to disavow and distance themselves from presumptive Republican presidential nominee Donald Trump. And with the Republican National Convention on its way, a group of high-profile Republicans have promised to skip the convention entirely. Though some, like Florida Sen. Marco Rubio, have said that their decision is based on a need to campaign, others have more clearly stressed that their reasoning lies behind a sheer dislike of their party's nominee. 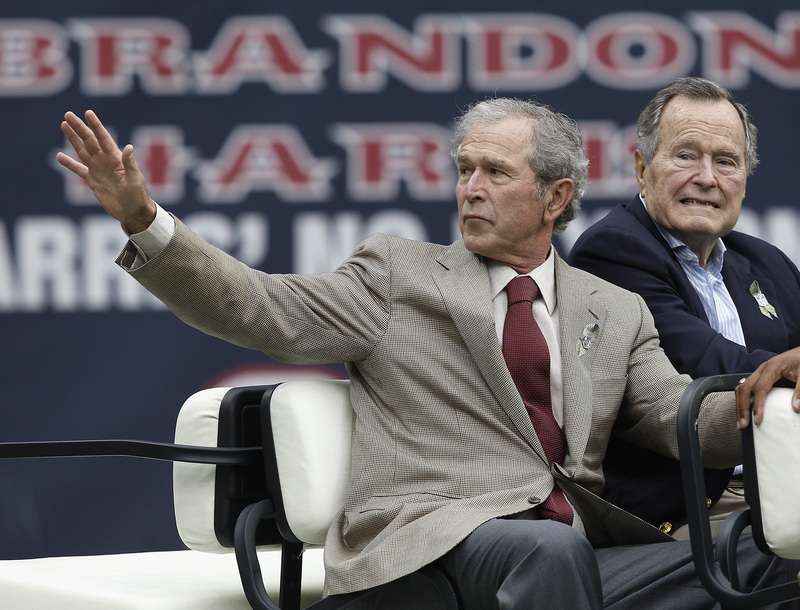 Among the top notable absences are the living former GOP presidential nominees, including Mitt Romney, John McCain, and former Presidents George W. Bush and George H.W. Bush. Only one, 1996 Republican nominee Bob Dole, will be attending the Cleveland convention (though Dole's camp has been careful to stress that his attendance at the convention does not equal an endorsement, and that he is primarily showing up for a scheduled luncheon hosted by his law firm). The absence of Romney, the 2012 Republican presidential nominee, is perhaps the most clear sign of division among the party, with Romney's scathing criticism of Trump still ringing in the GOP's ears. In a speech in February, the former GOP nominee called Trump "a phony, a fraud" and blasted Trump's professional and political career. Though his absence is not surprising, it also marks a turning point for the party — when Romney was the nominee, officials lined up to speak at his convention. Now, a majority are steering clear. This distancing extends beyond the biggest faces of the party, too. Late last month, Politico contacted more than 50 leading GOP governors, senators, and representatives. The general consensus, Politico gathered: "Only a few said they were open to it, and everyone else said they weren’t planning on it, didn’t want to or weren’t going to Cleveland at all — or simply didn’t respond." Trump seems to be unfazed by the overwhelming decision to skip out. In lieu of big-name politicians, CNN has reported that Trump will bring in sports figures to his convention instead. "We may call it 'The Winners' evening," he previously said. This potential trade-off between sports figures and politicians is a prime example of the kind of campaign Trump has been running. To him, as voters have seen with the rest of the primaries, the overall objective turns to spectacle, not substance, and it looks as though the RNC may be no different.